Oral squamous cell carcinoma (OSCC) is a challenging disease to treat. Up to 50% of OSCC patients with advanced disease develop recurrences. 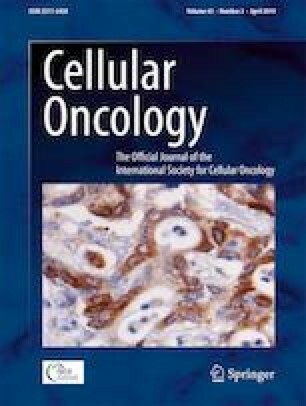 Elucidation of key molecular mechanisms underlying OSCC development may provide opportunities to target specific genes and, thus, to improve patient survival. 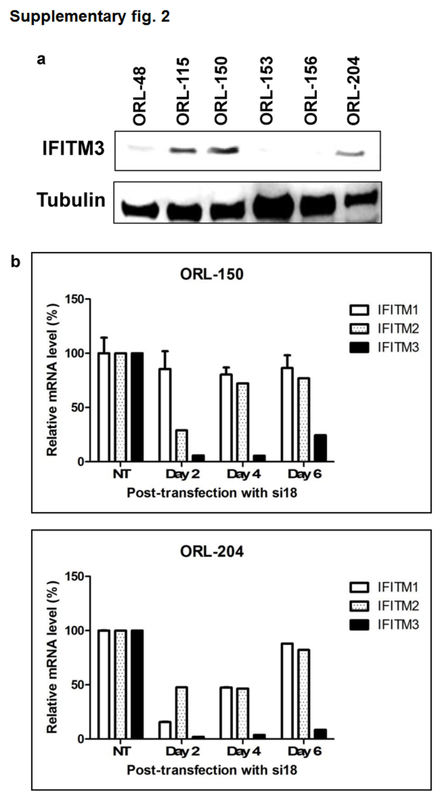 In this study, we examined the expression and functional role of interferon transmembrane protein 3 (IFITM3) in OSCC development. The expression of IFITM3 in OSCC and normal oral mucosal tissues was assessed by qRT-PCR and immunohistochemistry. The role of IFITM3 in driving OSCC cell proliferation and survival was examined using siRNA-mediated gene knockdown, and the role of IFITM3 in driving cell cycle regulators was examined using Western blotting. We found that IFITM3 is overexpressed in more than 79% of primary OSCCs. 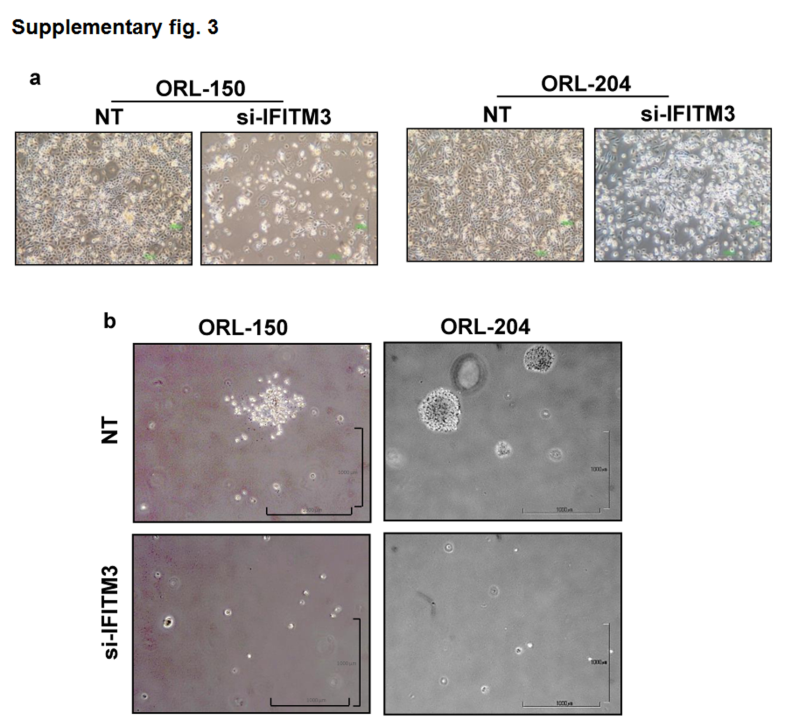 We also found that IFITM3 knockdown led to impaired OSCC cell growth through inhibition of cell proliferation, induction of cell cycle arrest, senescence and apoptosis. In addition, we found that IFITM3 knockdown led to reduced expressions of CCND1 and CDK4 and reduced RB phosphorylation, leading to inhibition of OSCC cell growth. This information may be instrumental for the design of novel targeted therapeutic strategies. From our data we conclude that IFITM3 is overexpressed in OSCC and may regulate the CCND1-CDK4/6-pRB axis to mediate OSCC cell growth. The online version of this article ( https://doi.org/10.1007/s13402-019-00437-z) contains supplementary material, which is available to authorized users. We would like to thank all consented patients who participated in this study. This study was funded by Ministry of Science, Technology and Innovation (MOSTI 06-00-00-0000), University of Malaya (UM.C/625/1/HIR/MOHE/DENT-03) and sponsors of Cancer Research Malaysia. Cancer Research Malaysia is a non-profit research organization. We are committed to an understanding of cancer prevention, diagnosis and treatment through a fundamental research program.